Principal, Amrita school of pharmacy, Aims health care campus, Aims ponekkara po. Principal, UKF college of engineering & technology, Meenambalam, Puthenkulam P O. Principal, Musaliar college of engineering and technology, Musaliar college po. 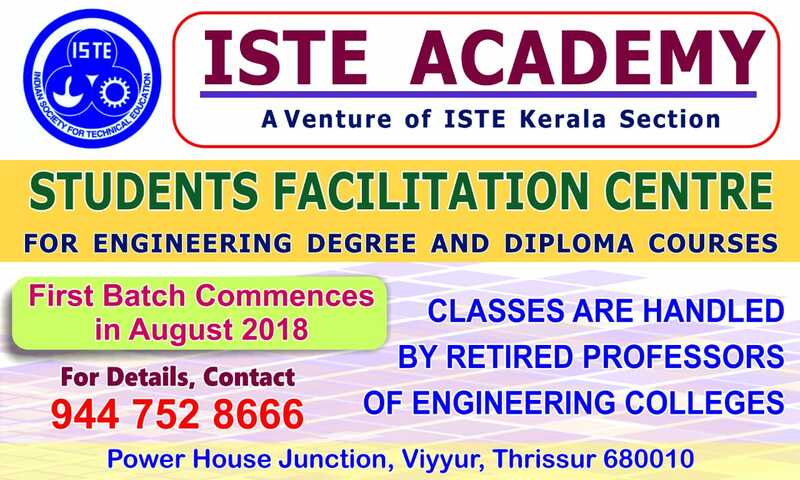 Principal, THEJUS ENGINEERING COLLEGE, 9/403, vellarakkad, Erumapaetti po. Principal, ST. Thomas Institute For Science & Tech., Mar Chrysostom Nagar, Kattaikonam P.O. Principal, Christ Knowledge City, Mannor, M. C. Road, Muvattupuzha, Kuzhoor, Airapuram P. O. Principal, Trinity College Of Engineering, Trinity Hills, Poovada, Naruvamoodu P. O. Principal, Vidya Academy Of Science & Tech. Technical Campus,Malakkal P. O.